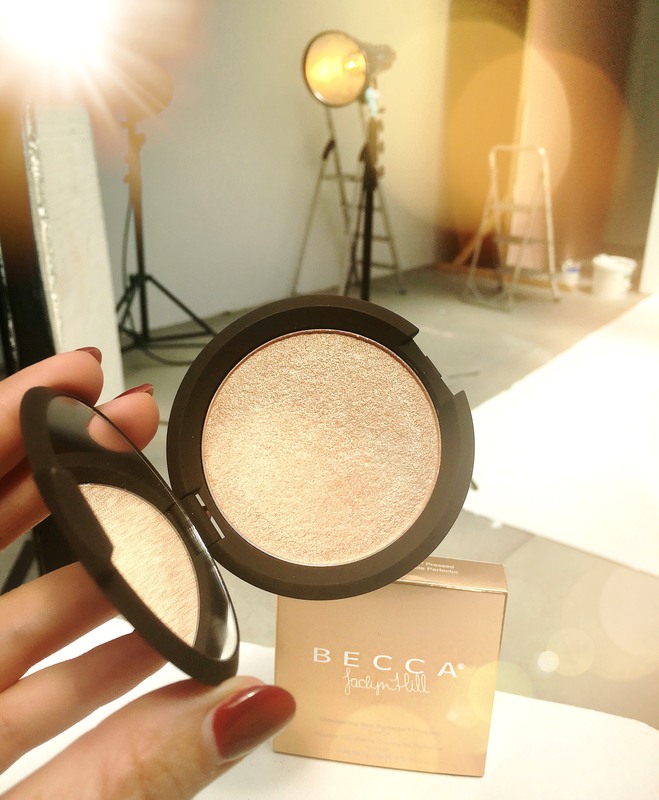 “ The BECCA x Jaclyn Hill Shimmering Skin Perfector Pressed in Champagne Pop is my new favorite product to use on set and for myself ! To date I had to buy it in the US, but thanks to SEPHORA I can also buy it in my hometown Munich now and it sells out quickly, believe me. What makes this product so great is that it gives a shiny glow without being to glittery. Furthermore, although it is a pressed powder, it has a velvety and creamy consistency when applied. Its gold-apricot tone called „Champagne Pop“ looks very fresh and rejuvenating on every skin – just beautiful! You can follow Sabine on her Instagram and check out her portfolio on our Phoenix Website.